Home / Posts Tagged "Tawhid"
Tawhid: The oneness of God. One of The Five Pillars of Islam (Usule-Din). Testifying that there is no god but Allah. Question 573: In the other salats of Nafilah of Layl, any small surahs can be recited after Sura al-Hamd. Answer 573: You are allowed to recite other small Surahs of the holy Quran in each Raka’at of the Night Prayer, however it is said that if you recite Surah al-Ikhlas (Tawhid) after Surah al-Hamd in Shaf’a and Witr prayers you would be given the reward of reciting the whole Quran. Because, the both prayers have 3 Rak’ats and if you recite surah al-Ikhlas three times it would be regarded as reciting the whole Quran. When it comes to the rak’ats of Shaf’a prayer, it is better to recite Surah al-Falaq after Surah Hamd in the first rak’at and to recite Surah Naas after Surah al-Hamd in the second rak’at. There remains one rak’at of witr prayer in which it is better to recite Surah al-Tawhid thrice after Surah al-Hamd along with Surah al-Falaq and Surah Naas. 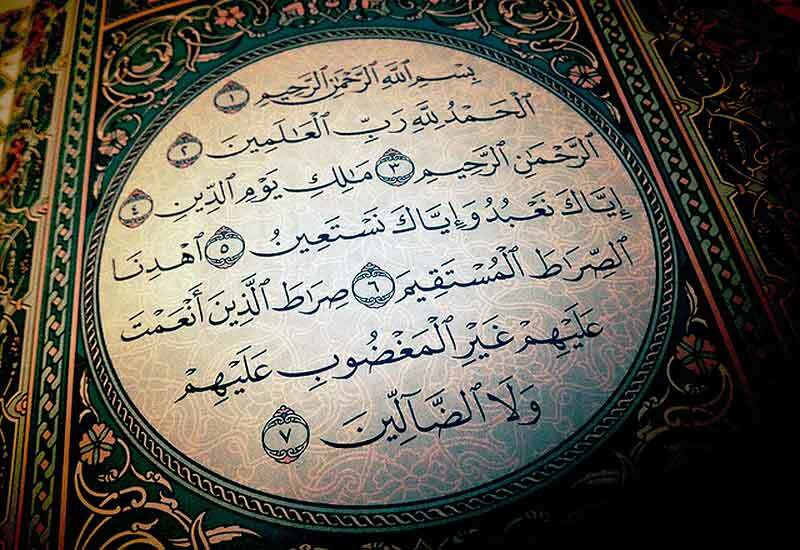 One can suffice to reciting only Surah al-Tawhid and then perform Qunut. Index: The night prayer or Salat al-Layl (Tahajjud), answer 234. Index: Number of things which invalidate the prayer, answer 547. Index: The Secret of Prayer / Sirr us-Salat, answer 589. Index: Do we have to pray in Arabic language, answer 010. Index: Saying Āmīn during prayer in validate the prayer, answer 017. Index: Reciting Dua or Dikr in any language during the Prayer, answer 579.
 . Bahrani, al-Burhan, Tehran, Bonyad Beathat, 1416 A.H, Vol. 5, Pg. 797; al-Da’awat, Pg. 218. Question 095: What is the Shia view of the Mutazila and Wasil ibn Ata? Answer 095: Mutazila were an intellectual group interested in mental issues. They have been trying to collect between religion and intellect. They have stipulated some principles by which everyone who acts based on these doctrines is counted as Mutazilah. As a result, every member of this group has believed in such principles. – Tawhid, (absence of plurality and attributes). – ‘adl (Justice), (God is just and that He does not oppress His creatures). – Divine retribution (al-wa’d wa al-wa’id), (God has determined a reward for the obedient and a punishment for the disobedient). – Manzilah bayna al-manzilatayn (a position between the two positions). This means that a fasiq (i.e. one who commits one of the “greater sins,” such as a wine imbiber, adulterer, or a liar etc.) is neither a believer (mu’min) nor an infidel (kafir); fisq is an intermediary state between both belief and infidelity. – al-‘amr bil ma’ruf wa al-nahy ‘an al-munkar (bid to do what is right and forbid what is wrong). The opinion of the Mu’tazilah about this Islamic duty is firstly, that the Shari’ah is not the exclusive means of identifying the ma’ruf and the munkar; human reason can, at least partially, independently identify the various kinds of ma’ruf and munkar. The Basrah school of thought: Basra is a place where the Mutazilah had been established since the second Hejira century. We can also call the establisher of this school as the establisher of the Mutazilah. 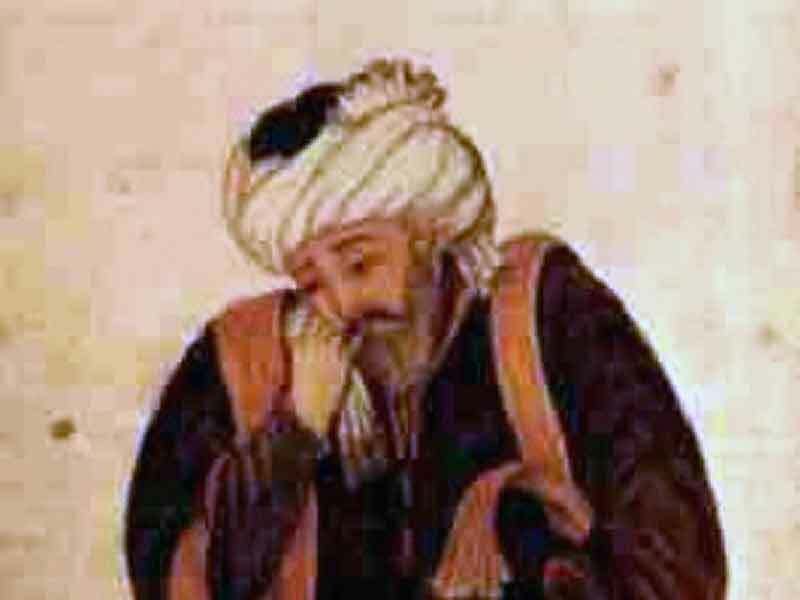 The foremost among the Mu’tazilah, who established Mu’tazilism (al-‘i’tizal) as a school of thought is Wasil ibn ‘Ata’. The Baqdad school of thought: The school of Baqdad had been established near the end of second Hejira century. This school was established by Boshr ibn Motamed. He had been taught al-I’tizal byhis two teachers, Boshr ibn Saeed and Abu Usman Zafarani. Generally, it is said that those Mutazilah, who belong to the school of Baqdad, were mostly inclined to Shia than the Basrah School, however most of both groups were Sunni. Some Baqdadian scholars like Jafar bin Harb, Jafar bing Mobsher and Eskafi have struggled to change the belief of Mutazilah as their own belief. They have believed in such belief that Ali (a.s) was superior to the Caliphs but Talha and Zobair were not so. They have also had faith that Ali (a.s) was the most virtuous person and superior to the Caliphs after the Holy Prophet (pbuh), however Abul-Hudhayl was one of the Basrah Mutazilah who believed in equality between Ali (a.s) and Abu Bakir. It is evident that none of the Islamic sects denied justice as one of the Divine Attributes. No one has ever claimed that God is not just. The difference between the Mu’tazilah and their opponents is about the interpretation of Justice. The Asha’irah interpret it in such away that it is equivalent, in the view of the Mu’tazilah, to a denial of the Attribute of Justice. Otherwise, the Asha’irah are not at all willing to be considered the opponents of justice. The Mu’tazilah believe that some acts are essentially ‘just’ and some intrinsically ‘unjust.’ For instance, rewarding the obedient and punishing the sinners is justice; and that God is Just. E.g., He rewards the obedient and punishes the sinners, and it is impossible for Him to act otherwise. Rewarding the sinners and punishing the obedient is essentially and intrinsically unjust, and it is impossible for God to do such a thing. Similarly, compelling His creatures to commit sin, or creating them without any power of free will, then creating the sinful acts at their hands, and then punishing them on account of those sins. This is injustice, an ugly thing for God to do. It is unjustifiable and ungodly. The Asha’irah believe that no act is intrinsically or essentially just or unjust. Justice is essentially whatever God does. If supposedly, God were to punish the obedient and reward the sinners, it would be as just. Similarly, if God creates His creatures without any will, power or freedom of action, then if He causes them to commit sins and then punishes them for that – it is not essential injustice. For the same reason that the Mu’tazilah emphasize justice, they deny al-tawhid al-‘af’ali (It means that all beings, or rather all acts [even human acts] exist by the Will of God, and are in some way willed by His sacred Essence). They say that al-tawhid al-‘af’ali implies that God, not the human beings, is the maker of human deeds. Also, thereby, the Mu’tazilah believe in human freedom, free will and are its staunch defenders, contrary to the Asha’irah who deny human freedom and free will. Shia believe that there is no contradiction between the will of human and Tawhid Afali, because, the will of the human is at the length of the will of Allah (SWT) not at the width instead. Human beings are unable to reach his own will without the will of Allah (SWT). In the Shi’ite faith the principle of Divine Justice is considered one of the five essential doctrines. 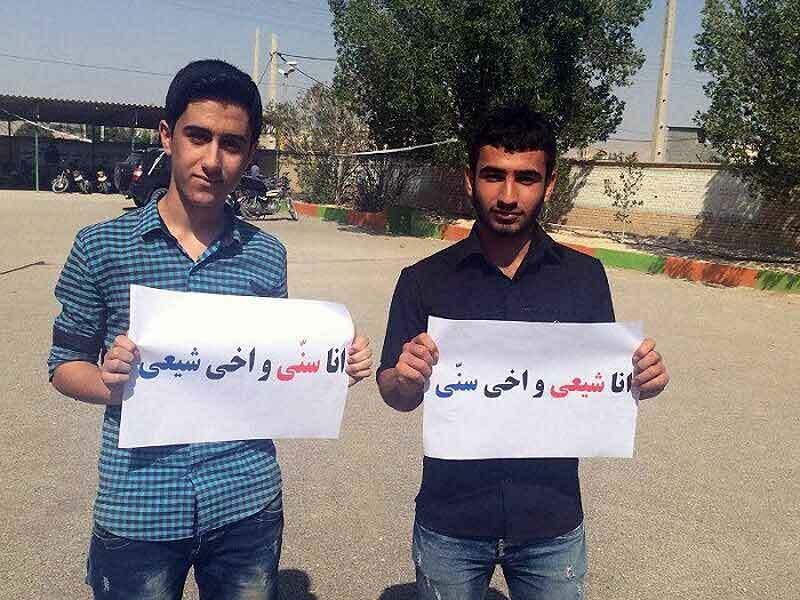 Conclusion: Both Shia and Mutazilah Schools of thought, have agreement in many religious tenets. 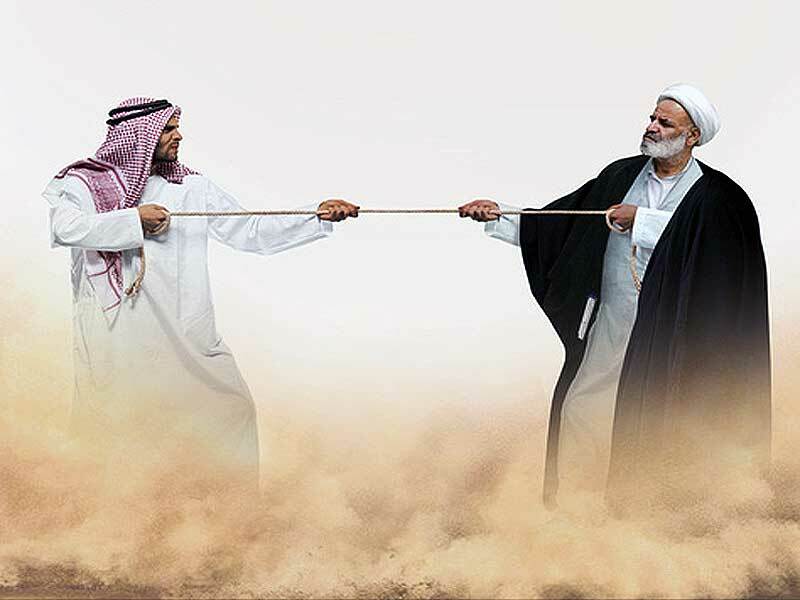 They have different opinions about Justice, Imamat, (some of Mutazilah scholars believe that Imam Ali (a.s) is superior to the Caliphs and appointed by Allah (SWT), the Almighty, but some of them believe Abu Bakir is equal with Him rather superior to Him!) and other opinions that some of them have already been explained. That’s why we Shia aren’t able to accept all their beliefs, not to reject. Index: The differences and similarities between Shia and Sunni, answer 187.
 . Farmaniyan, Mahdi, Feraq Tasannun, Pg.311.
 . Fayoumi, Muhammad Ibrahim, al-Mutazilah Takvin al-Aqlal_Arabi, Pg. 338.
 . Al-Mutazilah Takvin al-Aqlal-Arabi, Pg. 350.
 . For further information: refer to the Book of Buhuth fi al-Milal wal-Nihal, by Ayatollah Sobhani. 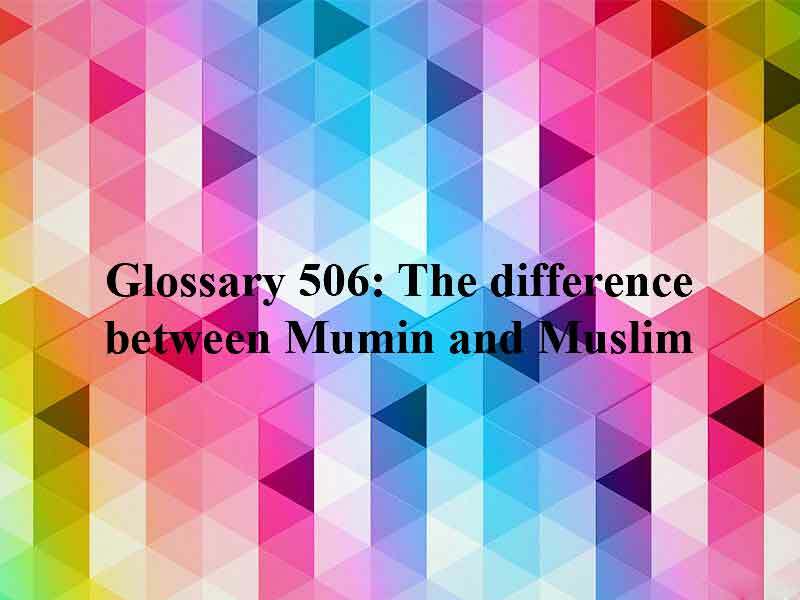 Glossary 506: Muslim. Tawhid. Shirk. Wilayat. Imaan. Takwini. Tashri’i. Mu’min. Haqqul-nas. Zakat. Ahlul-Bait. Shia Believe Ahlus Sunnah are Muslim not Kafir! Question 203: Assalamu Alaikum. Do Shia believe Sunni followers (Ahlus Sunnah) are kafir or nonbeliever? Answer 203: The first degree and step in Islam, which is the necessary condition to being Muslim, is to admit to the two principles of tawhid (the oneness of Allah (swt)) and nubuwwah (prophethood). The concept of لا اله الا الله (there is no God but Allah (swt)), is the true essence of Islam and its most important doctrine, containing all of the different dimensions of tawhid in it, and admitting to the prophethood of Prophet Muhammad (pbuh), is the acknowledgement that he is the seal of the prophets and that his religion is the final one to come, nullifying all other religions before it (meaning that these religions can no longer be followed, although they might have been the religions to be followed before the advent of Islam). The rest of the degrees of higher faith start from here, which is to follow the Prophet Muhammad (pbuh) in all of his teachings and decrees without any questioning. One who bears witness to the two principles mentioned above, has embraced Islam and parted from all other religions. When such takes place, all rulings pertaining to Muslims (such as the permissibility of marrying other Muslims, having transactions with them, the taharah (being pure and not najis) of their bodies and their children’s bodies, will all pertain to him/her as well and his/her life and possessions will be respected and defending him/her will become a responsibility of the Islamic governor and the Muslim society. As was said, this is the least that every Muslim must bear and others can no longer call such Muslims Mushriks or Kafirs anymore, even though their faith is the lowest one can have, but then again, it is faith. In addition to what was said above, according to the ithna’ashari sect, considering the different verses and hadiths that imply this matter, accepting all twelve individuals as imams, leaders and successors to the holy Prophet (pbuh) after him is one the most important conditions of faith and the acceptance of our actions and worship from Allah (swt), because accepting the holy Prophet (pbuh) and the Quran as the final revelation to the prophet (pbuh) which hasn’t been changed and falsified till today, necessitates the precise and complete practice of the teachings of the Quran and the prophet (pbuh). One of these teachings and guidelines which is of extreme importance, is for us to obey the imams. Therefore, in reality, disobeying them is equal to disobeying the Prophet (pbuh) and Allah (swt) because they are the ones who have ordered us to follow them. Imam Sadiq (as) recommended his followers to be good and behave nicely toward ahdlul Sunnah, offer their prayers at Ahlul Sunna Mosques, visit their (ahlul sunnah) patients, go to their funeral, and if possible be their Mukabbir (one who pronounces takbir and other Dhikrs in congregational prayers). The Imam (as) says: If you did so they would say, you are the followers of Ja’afari sect. May Allah, the Almighty Ja’afar’s soul rest in peace. How good the Imam educated his followers. Thus, the Sunni followers are not considered as Kafir. They have only the lowest level of faith! They are not the true believer. Index: Ask Islam: How to become a Muslim, answer 527. Index: Shia answers: The Term Shia in Quran, answer 129.
 . Of course, there is a difference of opinion regarding the purity of the bodies of the people of the book, which you can learn about by referring to the different risalahs of various marjas; Sayyid Sistani (ha) says: The Ahlul Kitab (that is, the Jews, the Christians and the Zoroastrians) are ritually pure (tahir) as long as you do not know that they have become ritually impure (najis) by coming into contact with an impure object. You can follow this ruling when dealing with them.
 . Man La Yahduruhul Faqih, al-Sadoup, Vol. 1, Pg. 267, H. 1128. Question 230: Should pillars of Islam be evidently apparent in the scripture or hidden? If apparent, then why is the Imamah pillar explained in form of ‘batin’ zone? Can you prove this from Prophetic sayings and create a base that is sensible? I have not yet received a proper answer for this. 1) Tawhid (Testifying that there is no god but Allah): Verse 1: “All praise is due to Allah, the Lord of the worlds”. This verse of Surah al-Hamd indicates the Dhati (Essence), Sifati (Attributes) and Af’ali (Action) Tawhid. Verse 5: “Thee do we serve and Thee do we beseech for help”. This verse indicates the Tawhid in Ebadat (monotheism in worship) and Af’ali. 2) Nubuwwat: Verses 6 and 7: “Keep us on the right path. The path of those upon whom Thou hast bestowed favors”. According to the holy Quran itself, the real meaning of the word (an­’am­ta ‘alay­him) is the prophets and the truthful and the martyrs and the good. 3) Resurrection: Verse 4: “Master of the Day of Judgment”. This verse indicates the third pillar of Islam called Ma’ad (Resurrection). Baqarah, verse 4: “And who believe in that which has been revealed to you and that which was revealed before you and they are sure of the hereafter”. Nahl, verse 22: “Your God is One God So) as for (those who do not believe in the hereafter, their hearts are ignorant and they are proud”. The Quran mainly addresses issues, especially ahkam, from a general perspective, leaving the specifics to the Prophet (sa) and his successors, the true interpreters (as); such as prayer, fasting, zakat, hajj etc…Imamate is also one of these issues which have been generally reflected. The sha’n nuzul (the circumstances of revelation) of numerous verses in the Quran, such as Ayah of Tabligh, Ayah of Wilayah, Ayah of Ulul Amr, Ayah of Sadeqeen revolve around the issue of Imamate. It is necessary to mention that Allameh Hilli (ra) has written a book titled Alfain, that consists of a thousand reasons in favor of the Imamate of Imam Ali (as) and a thousand answers to the objections made against his Imamate, among which a great number of these reasons are from the Quran and can be referred to if needed. Also, the eighth section of the seventh volume of Bihar al- Anwar of Imamate has listed the ayahs revealed regarding Imamate under the title “Ayahs regarding revealed about the Imams (as)”. How to understand the meaning of the verses of the holy Quran: The majority of the verses of the Quran were revealed for the understanding of the general masses. From this perspective, the understanding that the masses have from the literal and apparent meaning of the Quranic verses are a proof and it is for this same reason that the ‘Usulis’ believe in the external meaning of the verses. Of course there are also select verses in the Quran whose understanding and the helping of others to understand was the responsibility of the Prophet (s) and the ‘Rasikhoon Fil Ilm’ (those deeply endowed with knowledge). Without this group’s assistance and help, the understanding of these verses would have been impossible to attain. In the Quran there are verses with meanings of general and specific, absolute and particular, abrogated and abrogating; in order to understand the Quran it is necessary to have a comprehensive knowledge of all Quranic verses to prevent mistakenly ruling according to the absolute without considering the other verses that might narrow its scope. There are some sciences, which although they don’t have a direct connection with interpretation of the Holy Quran, have a prerequisitational relationship. Without understanding these sciences it is not possible to interpret and analyze the verses of the Quran. Examples of these sciences are ‘Sarf and Nahw’, Ma’aani and Bayan’, and ‘Luqat’. The commentator must have mastery over all of the sciences which relate to the understanding of the Holy Quran. Considering the above mentioned reasons, we can figure it out why the five pillars of Islam have not clearly mentioned in the holy Quran, but many verses of it prove them, completely. Index: Usul al-Din and Furu al-Din, answer 223. Index: Shia View of the Mutazilah and Wasil ibn Ata, answer 095.
 . Surah al-Nisa, verse 69.
 . Surah Maeda, verse 67.
 . Surah Maeda, verse 55.
 . Surah Nisa, verse 59.
 . Hilli, Hasan bin Yusuf, Al-Alfain, Dar al-Hijrah, Qom, 1409 (AH).
 . Allamah Majlisi, Bihar al-Anwar, (the section on imamate, Farsi translation of the seventh volume), Khosravi, Musa, publisher: Islamiyyah. Question 527: Do I have to cut my hair to become Muslim? What are the conditions for one to become a Muslim? Brief Answer 527: The first degree, which is referred to as “Islam”, can be reached when one says the shahadatain (the two statements of “There is no God but Allah” and “Muhammad is the messenger of Allah), admitting to its meaning, resulting in that person officially becoming Muslim. 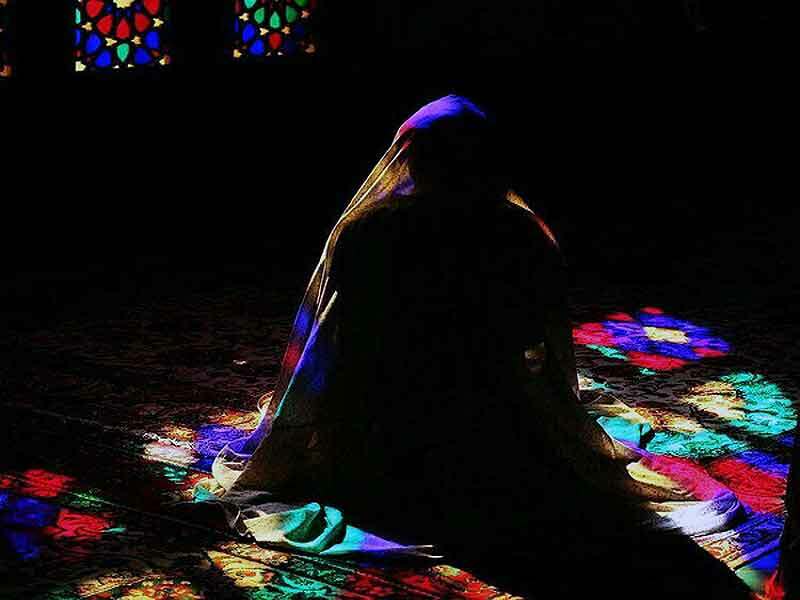 His/her body will be pure (no longer najis) and so will the bodies of his children, marriage with other Muslims will become permissible for him and he/she can have transactions with other Muslims, his/her wealth, life and honor will all be respected etc. Of course, saying the shahadatain and admitting to its meaning necessitates acting and practicing Islam (e.g. performing the wajib acts such as prayer, fasting, Hajj, Khums and Zakat, and believing in the angels, the hereafter, paradise and Hell and accepting all of the divine prophets as messengers of Allah (swt)), which is the next level of faith which is higher than just plain “Islam” and being Muslim. Therefore, there is no need to cut your hair in order to become a Muslim. Question 187: What is the difference and similarities between (Shia and Sunni) the Ahlul Sunnah and Ahlulbayt (as) followers? Although Tawhid (oneness of God) is a principle common between the Shiite and Sunnit schools of thought, Shia believes that God’s attributes are the same as His Essence. According to Shia, God cannot be seen in this world nor can He be seen in the Hereafter. Unlike the Sunnis, Shia holds that it is not permissible on God’s part to punish an obedient and give rewards to a sinner. Shia does not believe in determinism and compulsion. The most important Shiite belief is the belief in Imamat. 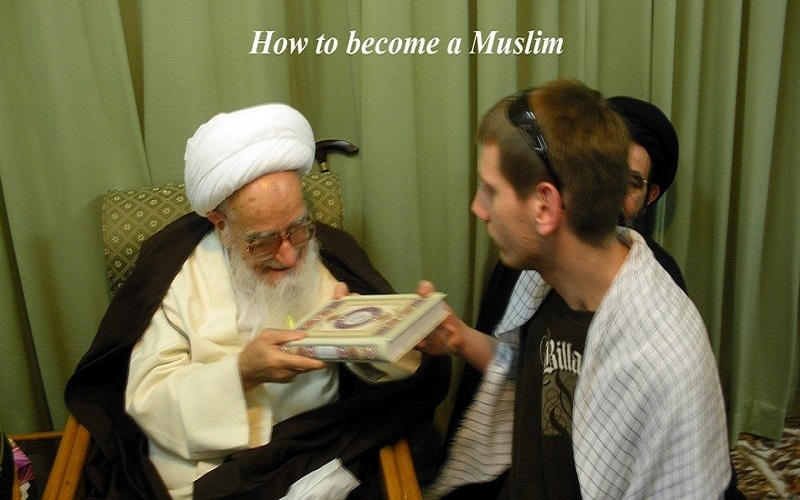 Shia holds that Imamat is a part of the fundamentals of faith and the successor of the Prophet must be inerrant and infallible and it is precisely because of infallibility, which is known by none other than God, that the imam (leader) after the Prophet should be appointed by God and that the Islamic governments should lead to Wilayah. Obeying an oppressive and unjust sovereign is not permissible according to Shia. Shia believes that Ahlulbayt in verse 33 of Chapter al-Ahzab refers to Fatima (daughter of the Holy Prophet (pbuh)) and the pure Imams (a.s.). Shia is of the view that the prophets are infallible. They do not commit any sin, whether capital or minor. Bada, Raj’at (return) and intercession are also some of the Shiite beliefs. Shia does not consider all the companions of the Holy Prophet (pbuh) as just. There were different types of people amongst the companions. Some were just and some were hypocrites. Their fatwa (verdict) are not authoritative and valid for anyone. Taqiyah (dissimulation) is permissible according to Shia. Mut’ah (Fixed-time marriage) is permissible according to Shiite viewpoint. The gate of Ijtihad is open according to Shia. Shia does not accept ta’sib and awl in inheritance. Note: The principle of ‘awl (proportionate reduction) is applied by Sunni jurists when the estate of the deceased is ‘oversubscribed’ by Quranic heirs. Ta’sib is applied by Sunni jurisprudence to give priority to male agnates as heirs, and this results in many mathematical complexities in their system of inheritance. The only really significant difference between the Shi’ah and Sunni schools of jurisprudence in the laws of inheritance concerns the principles of “‘awl” and “ta’sib”. The Imamiyah jurisprudents have proved by means of ahadith from the Ahlu ‘l-bayt (a.s.) that there is no ‘awl or ta’sib in the matter of inheritance. This was also the opinion held by the great companions of the Holy Prophet. The well-known statement of Ibn ‘Abbas in which he speaks against ‘awl and ta’sib can be taken as authoritative. There are also other grounds of proof for negating these two principles. According to Shia, combining between two prayers is permissible. “Hayya ‘ala Khayril ‘Amal” (Hasten to the best acts) is a part of the Adhan. It is permissible to visit the Infallible Imams’ graves (we believe that not only visiting graves is not shirk (idolatrous) but it is very much a monotheistic act and there is a lot of reward in it.). For further explanation, you can refer to some books written in this regard including: Al-Jawame’ wal-Fawareq bayn al-Sunnah wa al-Shia by Muhammad Jawad Mughniyah; Ma’a al-Shia al-Imamiyah fi Aqaedehim, by Ayatollah Ja’far Subhani, Islamic Beliefs in the Light of the School of Ahlalbayt by Ayatollah Ja’far Subhani.
 . For further information in this regards, please refer to: Khums: Rules concerning Awl and Ta’sib, answer 324.
 . Adopted from IQ (with a few changes has been made on).